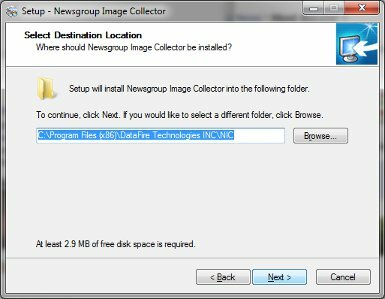 Newsgroup Image Collector (NIC) is the perfect tool for collecting images from Usenet newsgroups. NIC can search one or more newsgroups for images by scanning each posted message. When a message contains image content, the image is downloaded to your computer. You control which newsgroups to search and you can filter out unwanted images by using advanced filter settings. Usenet is a collection of user-submitted notes or messages on various subjects that are posted to news servers. Each subject collection of posted notes is known as a newsgroup. There are thousands of newsgroups, many of which contain simple text messages, and others contain images posted as attachments. NIC is a simple program that is packed with optional advanced features. If you are new to the Internet or a long time pro, you enjoy using NIC on your computer. The following section goes over the application installation on various operating systems. This program requires Java 6 or higher to run. This may already be installed on your computer, but if not you will need to install it before you can run Web Image Collector. After downloading NIC.exe for Windows, you must open or run the file. 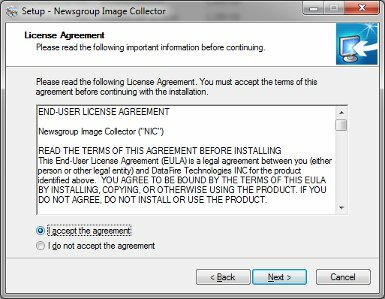 The install application will start and you will see the license agreement page. You must select 'I accept the agreement' then click the Next button. You will now see a screen where you can specify where to install the application. The default location will work fine in most cases. If you do not have enough disk space available, you will need to select a different hard drive. To change the install location, click the browse button. Click Next until the program installation begins. After downloading NIC for MacOSX, you can open the program file by double clicking the file nic_macosx.tar.gz. A new icon named NIC will appear on your desktop or download folder depending on which browser or version of OSX is used. You can drag and drop the NIC icon to your desktop, applications folder, or any folder you like. If you have multiple user accounts on your Mac, you should concider moving the NIC icon to the applications folder. This will allow all user accounts to access the program. NIC for Linux is packaged in several different formats. There is a deb file for Ubuntu, Mint, and other Debian based Linux operating systems. There is an rpm file for Fedora, CentOS and other Red Hat based opertating systems. And finally there is a gzipped tar file for manual installation. To install the Debian package, run the following command. To uninstall the Debian package, run the following command. To install the RPM package, run the following command. To uninstall the RPM package, run the following command. To install the TAR package, run the following command. Change directory into the nic folder and execute the startup script. 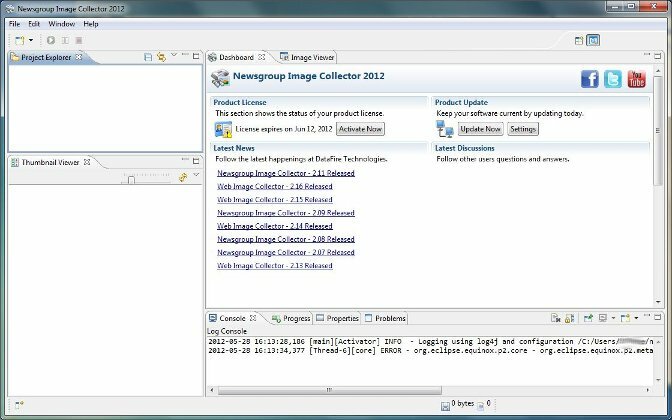 When you first start Newsgroup Image Collector (NIC) you will have an empty workspace with no projects in the Project Explorer. To get started, you will need to create a new project. 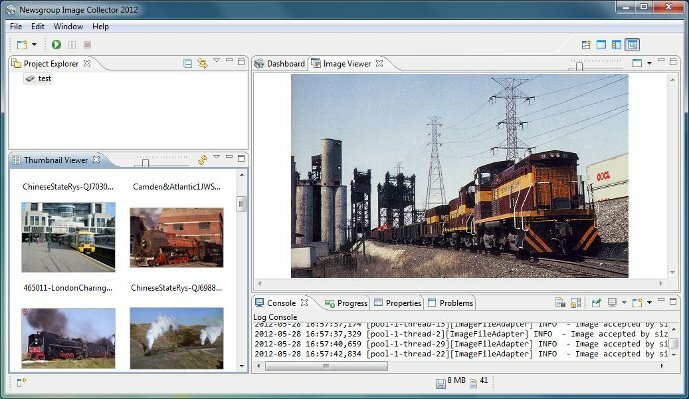 The first step in using NIC is to create an image collection project. This is how you tell NIC the images you want and where to save them. 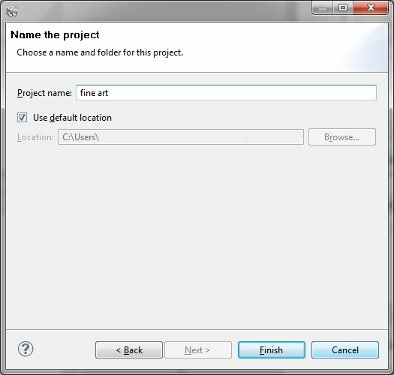 To create a new project, on the main menu bar, click File - New. The New Project wizard opens. 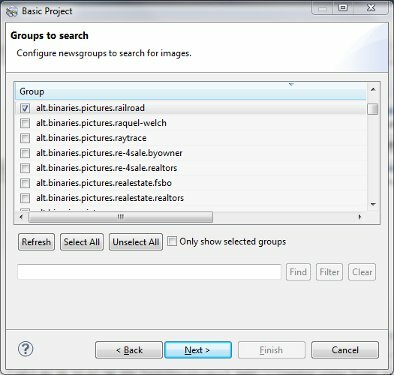 Expand the Newsgroup Image Collector folder and you will see the available project types. As a faster alternative, you can click the left most toolbar button and launch a new project wizard. For this tutorial we will use the Basic Newsgroup project. 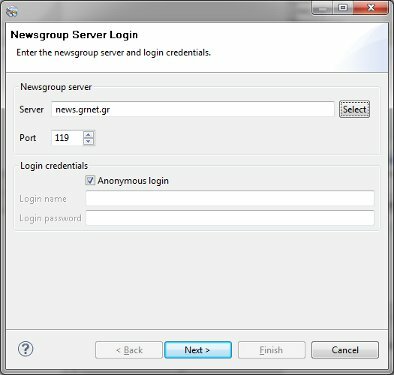 Select this project type and advance to the Newsgroup Server Login screen. 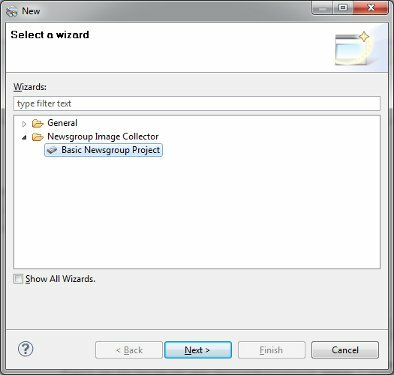 The Basic Newsgroup project will create a new image collection and will search the selected newsgroups for images. All articles that contain images can be filtered by a variety of settings to fine tune the results. This button will open the host selection dialog box which has a list of free and paid newsgroup servers. Select a newsgroup server from this list if you do not have your own newsgroup server to use. This is the news server account user name. If the news server you are connecting to requires a user name, enter it here. This is the news server account password. If the news server you are connecting to requires a password, enter it here. The second step is to tell NIC what news groups to search for images. When you click Next to arrive at this page, NIC will connect to the newsgroup server and download all available newsgroups. After the list has loaded, you can click the check boxes of the newsgroups to include in the image search. You can use the find button to search the group list for matches. You can also use the filter button to trim down the groups in the list to those	matching the keywords. 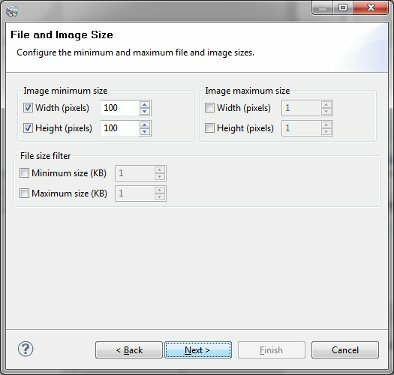 At the File and Image Size screen you can set minimum and maximum file size and image size settings. This is helpful to prevent downloading of images that are too small or too large. This is the smallest allowable image width in pixels. Images with a width smaller than the number here will not be added to the image collection. This is the smallest allowable image height in pixels. Images with a height smaller than the number here will not be added to the image collection. This is the largest allowable image width in pixels. Images with a width larger than the number here will not be added to the image collection. This is the largest allowable image height in pixels. Images with a height larger than the number here will not be added to the image collection. This is the smallest allowable file size in KB. Images smaller than the number here will not download. If this field is unchecked, this option is ignored. This is the largest allowable size in KB. Images larger than the number here will not download. If this field is unchecked, this option is ignored. At the Search Keywords screen you can specify the keywords to search on. You will see dogs and cats entered in the field by default. Leave this value and click next. After you click on Finish, you will see the new project appear in the Project Explorer view. The green start button will enable on the toolbar. Click the start button and the collection process will begin. You will see activity in the bottom event log area. As images are	downloaded to your computer, they will appear as thumbnails in the thumbnail viewer. Depending on what and where you are searching for determines how long NIC downloads images. Sometimes the search will end right away and other times it can run for hours. You can force the search to stop by clicking the stop button on the toolbar.